J. Crew has been going through some rough and tumble times in recent years. 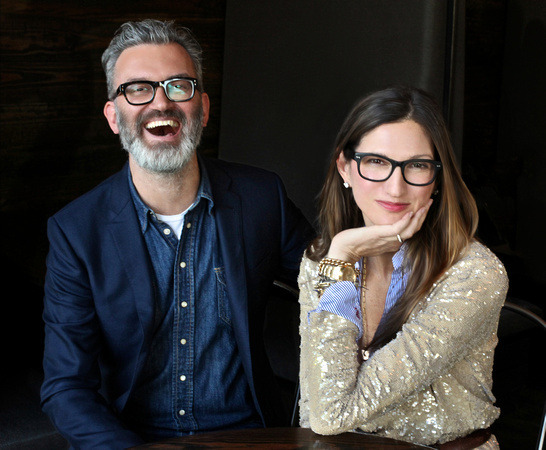 For those who missed it, the company’s President and Creative Director, Jenna Lyons, announced earlier this week that she’ll be leaving the company by the end of the year. Technically, she’s already stepped down from her official roles, but she’s staying on as a consultant until her contract expires in December. This is big news. Partly because Lyons has been with J. 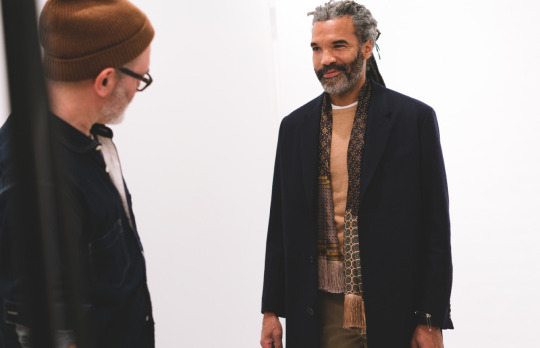 Crew for twenty-six years – moving from a freshly minted Parsons graduate who colored in rugby designs to the creative head behind a company that’s dressed much of America. The larger reason, however, is that it possibly signals more headwinds for a label that finds itself in troubled waters. In recent years, J. 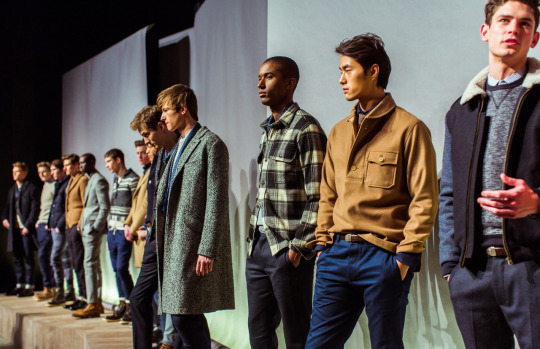 Crew has struggled to sell its brand of preppy, Americana clothing. As a result, they’ve had to take on a $2 billion debt load – some of which will become current in 2018, making some wonder if they’ll have to file for chapter eleven. Last year, they also announced they’re closing their bridal business. This year, they’re embroiled in some lawsuits. This is a tremendous reversal of fortunes. Along with the company’s CEO and Chairman Mickey Drexler, Lyons helped J. Crew triple its revenue from $700 million in 2003 to just short of $2 billion in 2011. 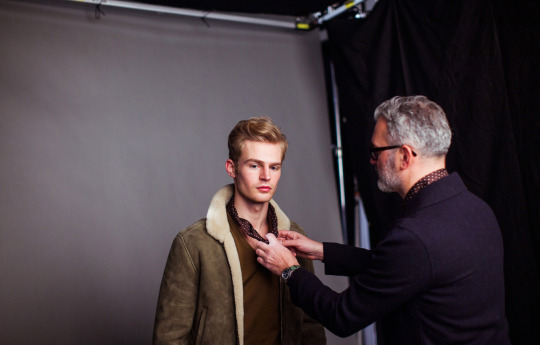 And when Frank Muytjens, a former designer at Ralph Lauren, was brought aboard to head the the company’s menswear collections, the brand became a favorite of men’s style aficionados. 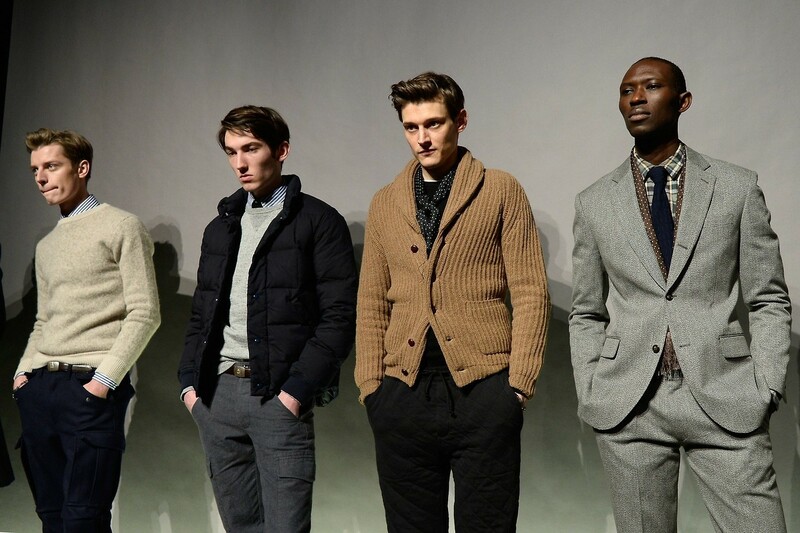 Some readers may remember how much menswear blogs swooned over J. Crew’s seasonal presentations circa 2009-2013. Peans were sung over their first mens-only emporium – amusingly called The Liquor Store (we were all drunk on Americana back then). 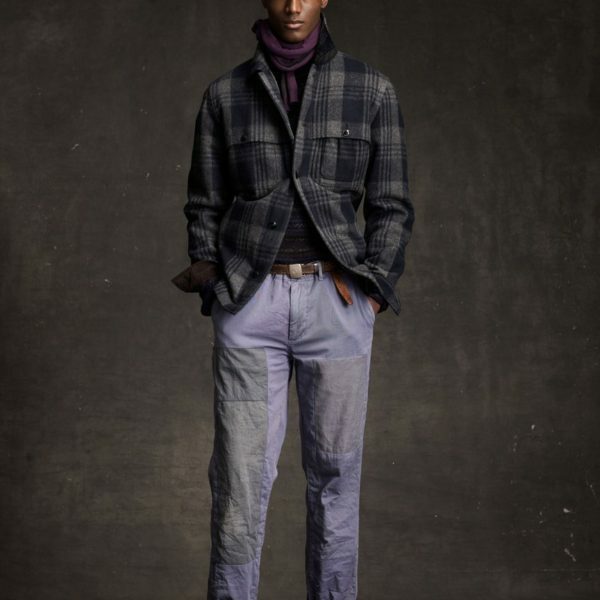 And everyone wanted that red selvedge chambray shirt. Now, few people shop there anymore. In a super, duper scientific survey I conducted on Twitter, about 60% of guys reported spending less than $100 at J. Crew in the last year (with a few commenting that their number is actually zero). About the same percentage said this is a dramatic drop from what they used to spend roughly eight to ten years ago. There’s no shortage of theories. Some say J. Crew epitomized a certain time and place in fashion – an Americana era whose moment has mostly passed. 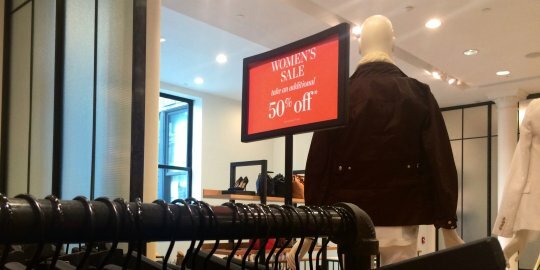 Robin Givhan at The Washington Post uses this to explain the decline in the company’s womenswear sales, noting that women have shifted to athleisure. 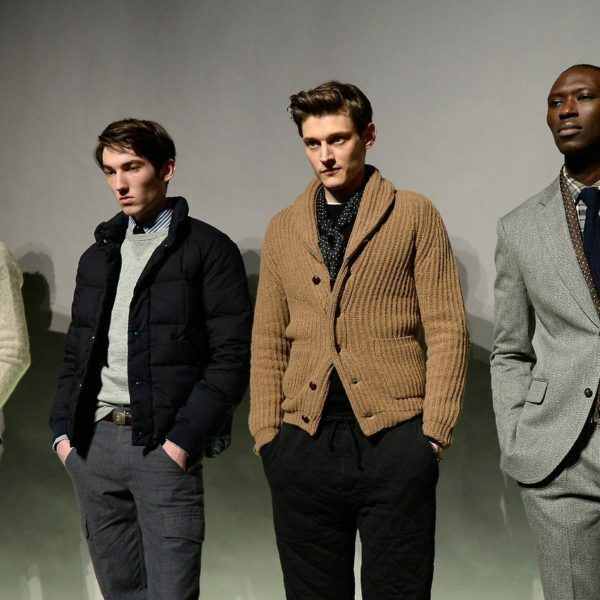 The story isn’t too unfamiliar for menswear, even if the takeover trend here is less clear. It could also be that J. Crew has driven away their core customers, only to replace them with value-minded shoppers who feed on a steady diet of coupon codes. Many guys who started off with J. Crew have moved on to higher-end brands – thanks in part to J. Crew introducing them to those labels through their “In Good Company” section. Anthropologists call this the Diderot Effect, a social phenomenon named after the French philosopher Denis Diderot, who once rued a beautiful dressing gown that he was gifted. Having owned the gown, he realized the inadequacy of his other things, which sent him plunging into debt as he shopped to replace those items. Similarly, it’s hard to go back to wearing J. Crew’s ties once you’ve owned something from Drake’s (which J. Crew sells). 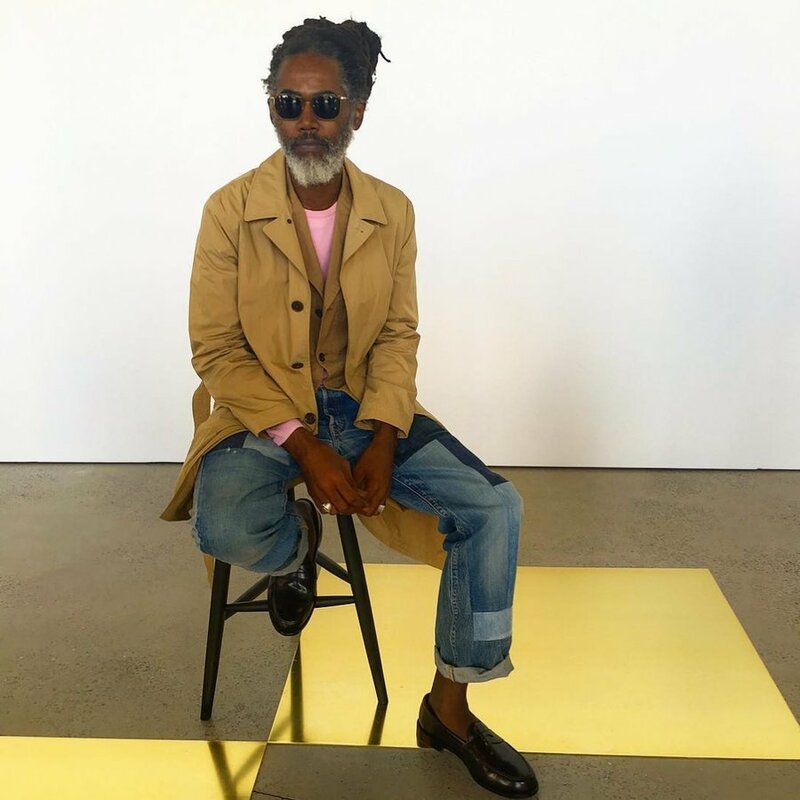 The reasons for J. Crew’s troubles are most likely complicated, but if I had to pick one, my guess is that they’re not unique. Other mid-tier priced companies – especially those with a large and expansive brick-and-mortar presence – face similar problems. See Ralph Lauren, Abercrombie & Fitch, and the now defunct American Apparel. In fact, the only stores that seem to be doing well in today’s retail environment are the fast fashion ones (e.g. H&M and Zara, who have expanded rapidly in the last few years). And amongst Gap’s three brands, the best performer is also Old Navy, which is also their least expensive. For the most part, it seems like the middle of the market is just getting eaten alive – attacked by fast fashion labels down market and high-end brands upstream. If you have a budget of either $50 or $500 for a piece of clothing today, you’ll find hundreds of options – but very little for anything in-between. Which brings me to my point on why J. Crew is special. For guys who aren’t trying to spend the equivalent of a college tuition on their wardrobe, but also want things they won’t have to replace after a season, J. Crew is one of the best options around. 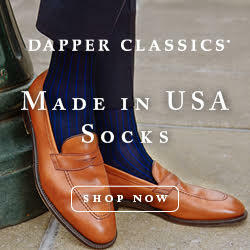 They’re more affordable than Brooks Brothers or Ralph Lauren; better designed than Banana Republic or Express; and better made than Old Navy or Zara. They’re also ubiquitous, with a store in nearly every city. 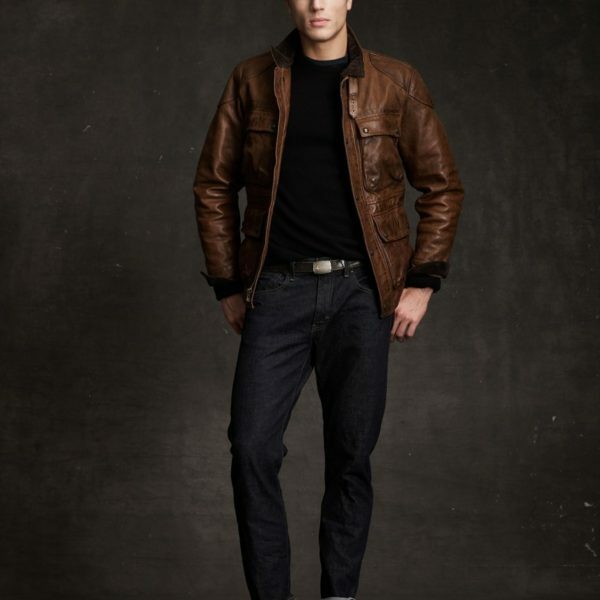 If you’re just starting out, or want to dress well without having to read thousands of pages on niche fashion boards, J. Crew is the simplest and easiest solution. Will you step out of a J. Crew store looking like the most stylish person on the planet? Nope. But will you step out being better dressed than most people, without necessarily spending a fortune? Absolutely. J. Crew specializes in safe, vanilla styles that suit most Americans’ daily lives, which is what makes them great. 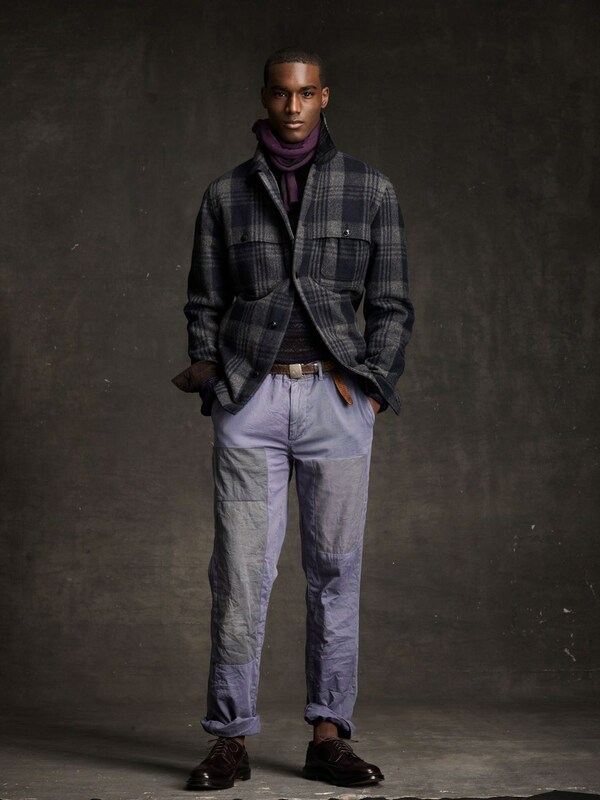 Some of their seasonal presentations show an impressive amount of daringness (see these patchwork pants from 2010! 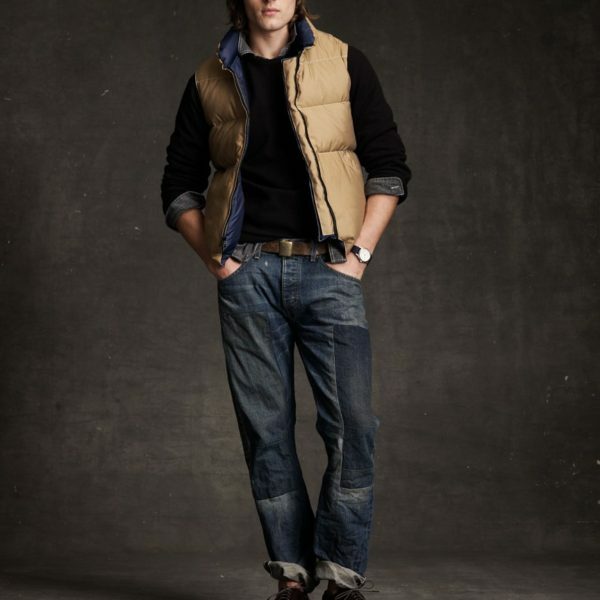 ), but their bread and butter remains in near-failsafe Americana styles that have been updated with contemporary cuts. 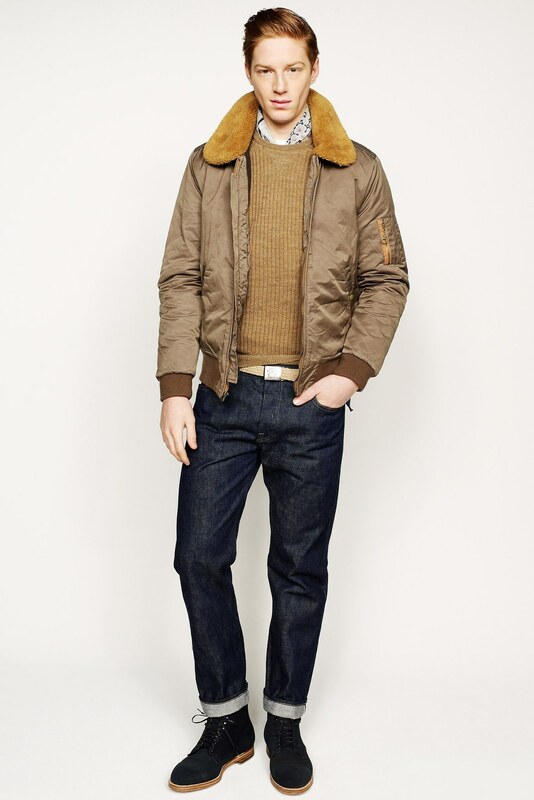 Outerwear: J. 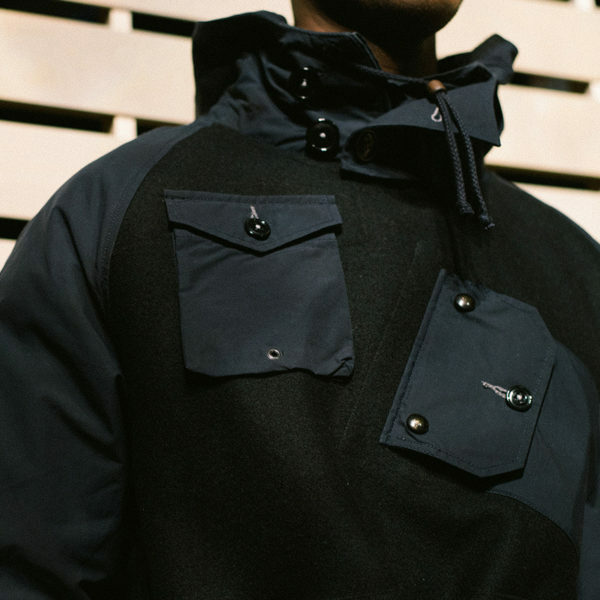 Crew can be great for affordable outerwear. This field mechanic jacket is one of their perennials. The fit is flattering, the detailing is great, and it can be had for just a little more than $100 once you apply their coupon codes. One small gripe: I wish some of the outerwear could be fuller fitting. Snorkel parkas, for example, often look better when they’re oversized, but you can’t have everything. Shirts: Some J. 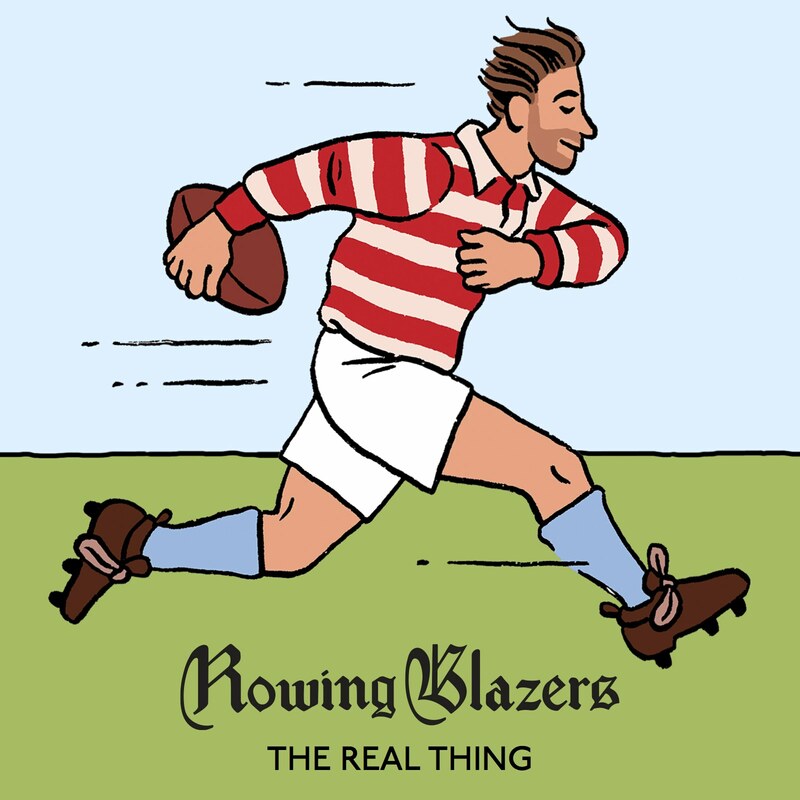 Crew shirts miss the mark, but the company is great with fabrics such as oxford, linen, chambray, and madras. 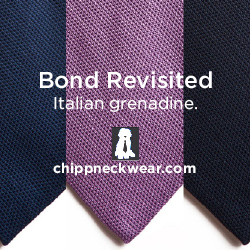 The collars are often too skimpy to wear with a tie, but they’re great for more casual environments. Similarly, for something more casual, try one of their tees. They’re made out of exceptionally soft, cotton jerseys, which make them feel like that old, college-era favorite sitting in your closet (minus the holes and food stains). 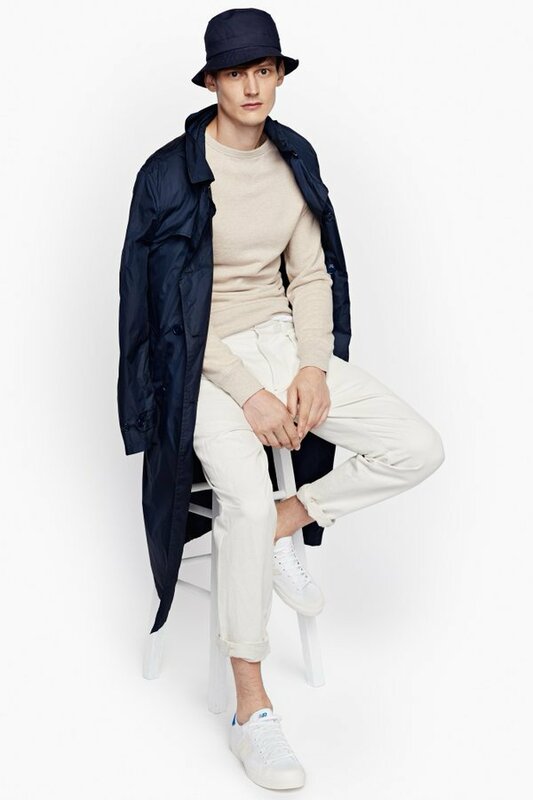 Chinos and Jeans: J .Crew has a few fits. Their 770 model won our “Great Khakis Pants Off.” Ian, the writer behind From Squalor To Baller, is also a fan of the Bowery cut. For those who want something a little fuller fitting, check the 1040 range. They’re a little fuller through the hip and thigh, while still maintaining a bit of taper for shape. Sweaters: The company has a better knitwear selection in the fall/ winter months (although, who doesn’t? ), but in the springtime, their sweatshirts can be a nice buy. Reasonably well made for the money, although you’ll want to occasionally throw them in the dryer to shrink them back into shape. The things to avoid at J. Crew: their cashmere, which is often made from shorter fibers that easily pill, as well as the dressier cotton knits, which stretch out over time (and not something you can throw into the dryer). Suits and Sport Coats: At this price point, it’s hard to compete with Suitsupply these days, but J. Crew is worth another look now that they’ve widened those lapels. 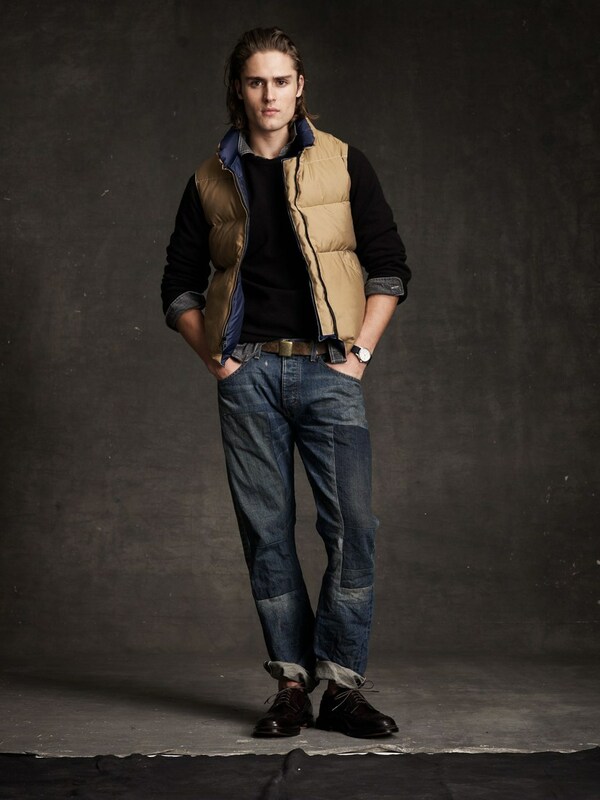 A much more classic proportion that doesn’t make you look like you’re stuck in the Mad Men era. 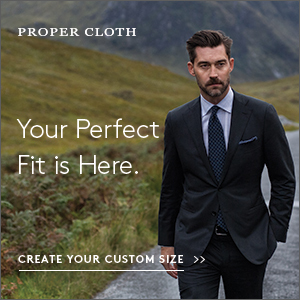 The Ludlow is the company’s slim fit suit, while the Crosby is a little roomier. Wallace & Barnes: Finally, what I think is J. Crew’s hidden gem. Wallace & Barnes is a sub-line inspired by vintage clothes in the company’s design archive (think: lots of workwear from the ‘30s and ‘50s). The materials and construction here are often better than what you’ll find in the mainline. I especially like their flannels and work shirts, which you can get for as little as $25-50 once they hit sale. And like with almost everything at J. Crew, you can always bet on there being a sale. If J. 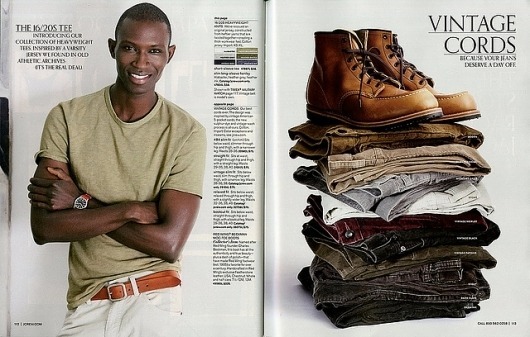 Crew actually does fold, the world of menswear will be worse for it. 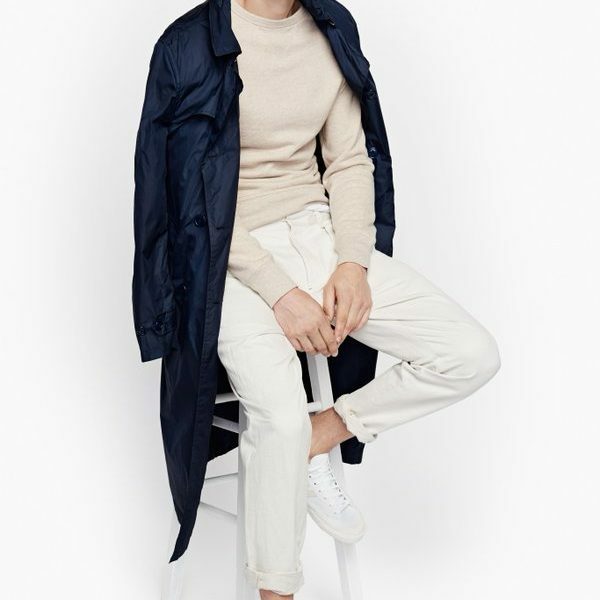 Uniqlo is a nice shop for uber-affordable clothes, and Mr. Porter carries almost everything high-end, but guys need a solid option in the middle of the price spectrum. Few companies occupy that space better than J. Crew.